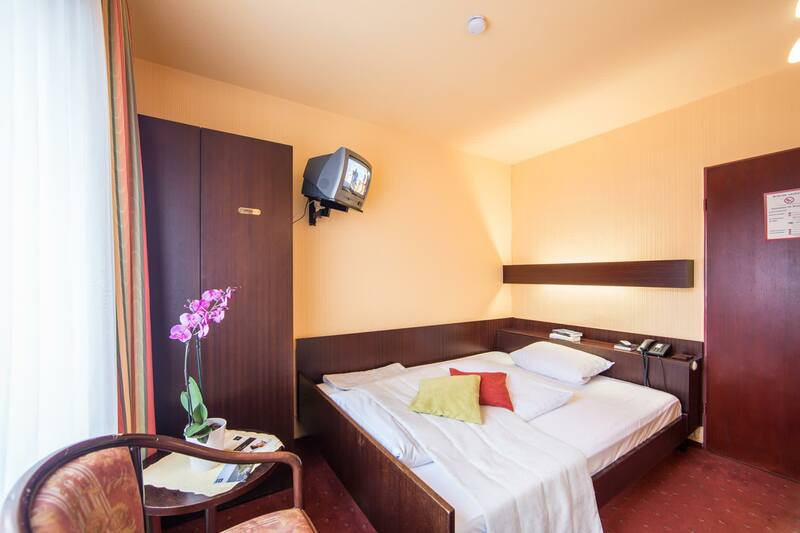 Boxspringbett partly with writing desk & seating, binoculars, LCD cable TV, telephone, WLAN, minibar, bathroom with shower & WC, hairdryer, cosmetic mirror, fluffy towels, ADA cosmetic products. 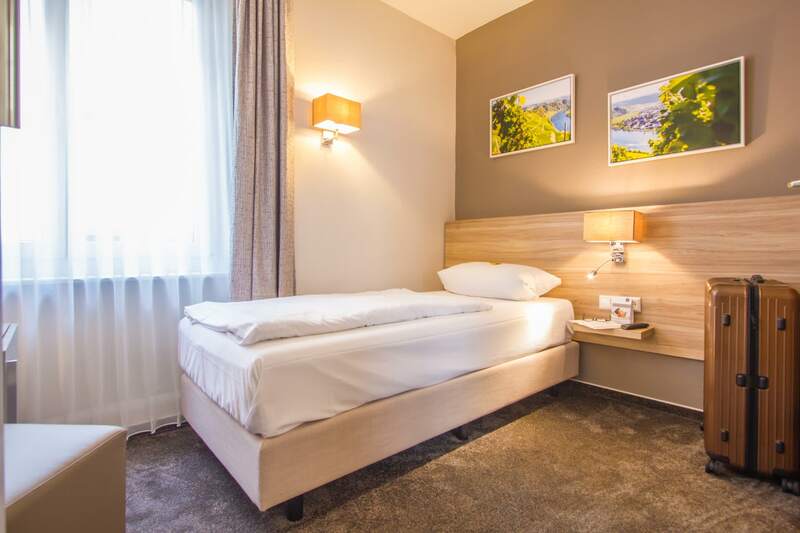 Boxspring bed with writing desk & seating, trunk, LCD cable TV, telephone, W-Lan, partly with sun lounger, bathroom with shower & WC, hairdryer, cosmetic mirror, fluffy towels, ADA cosmetic products. 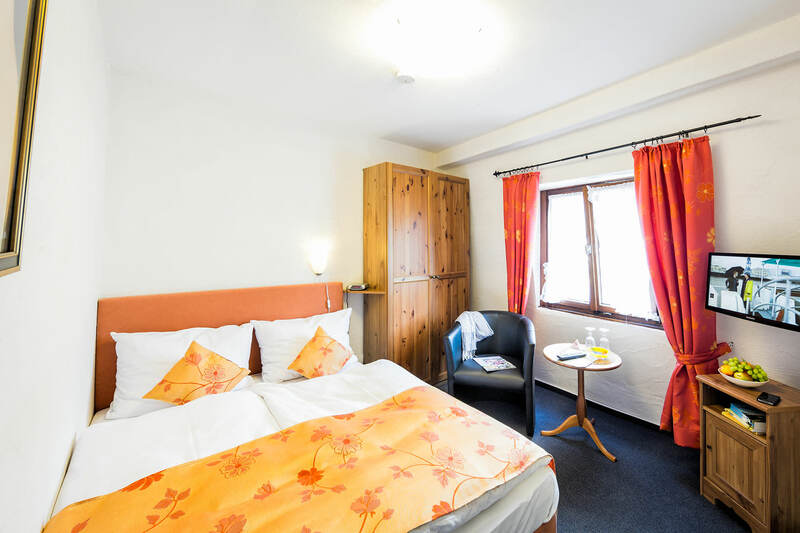 Boxspringbett partly with writing desk & seating, LCD cable TV, telephone, W-Lan, bathroom with shower & WC, hairdryer, cosmetic mirror, fluffy towels, ADA cosmetic products. 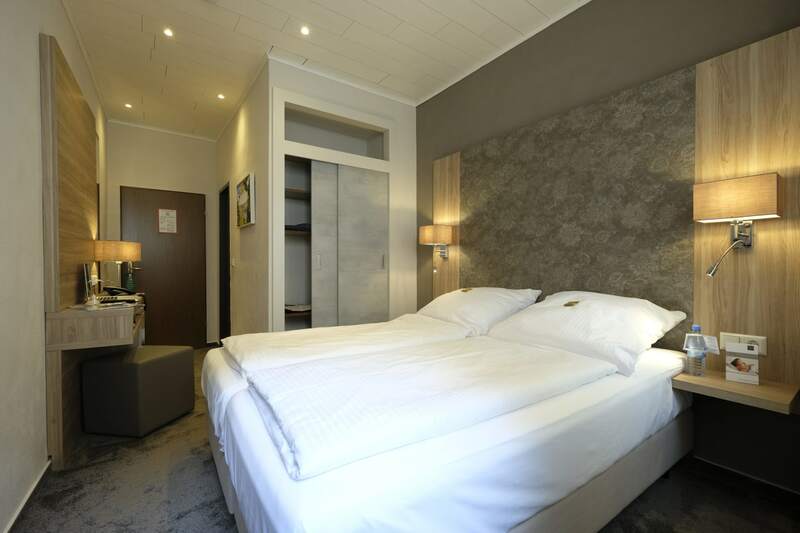 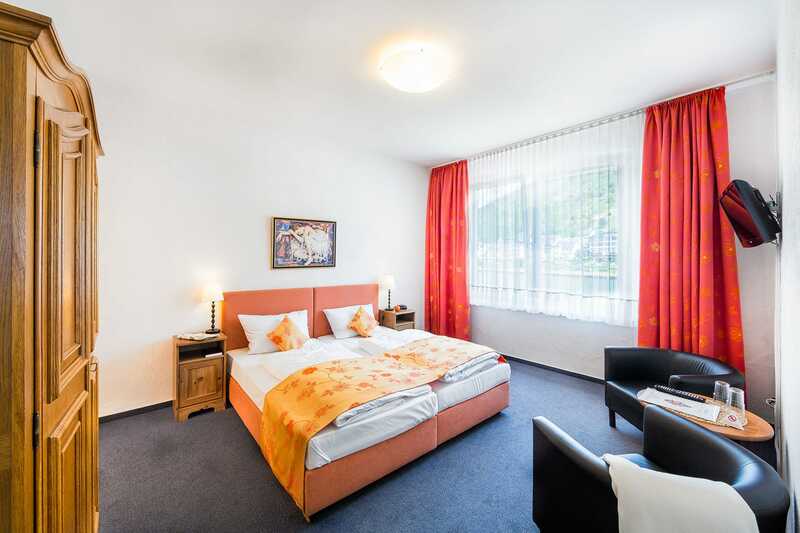 Double room with Moselblick for 2 persons, boxspring bed, seating, LCD cable TV, W-Lan, bathroom with shower & WC, hairdryer, fluffy towels, ADA cosmetic products. 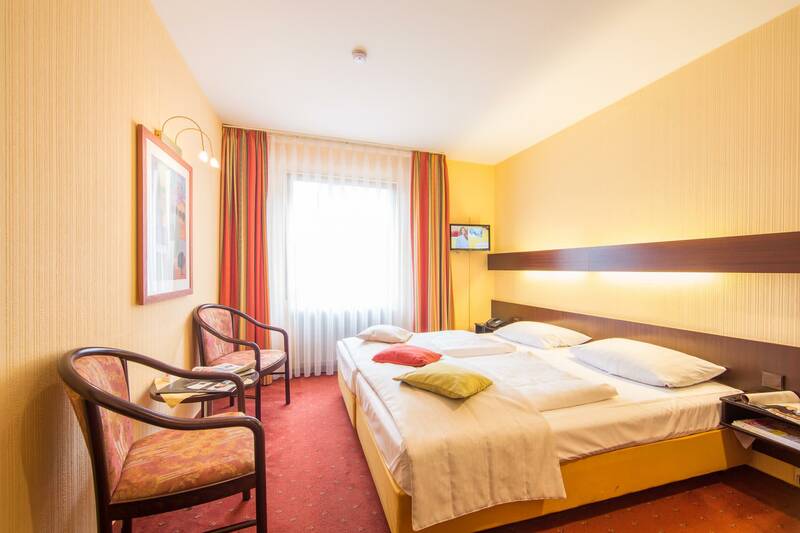 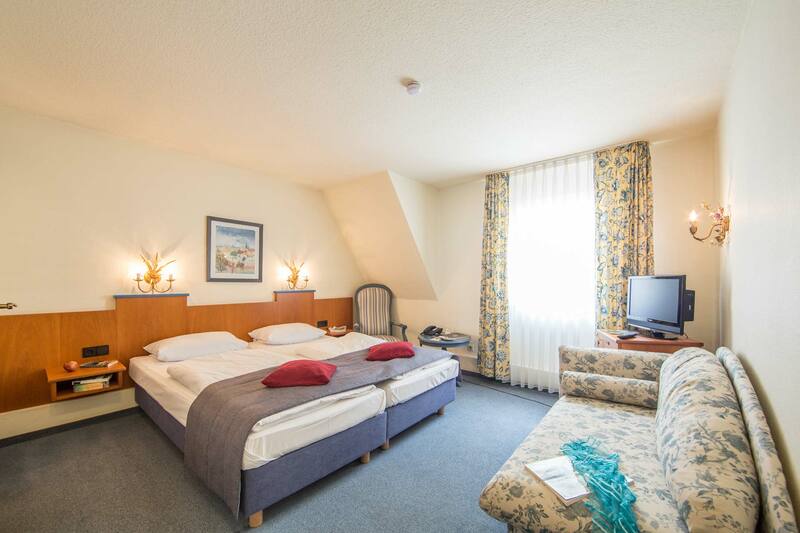 Our guest house Friedrichs is only 150 meters from the hotel. 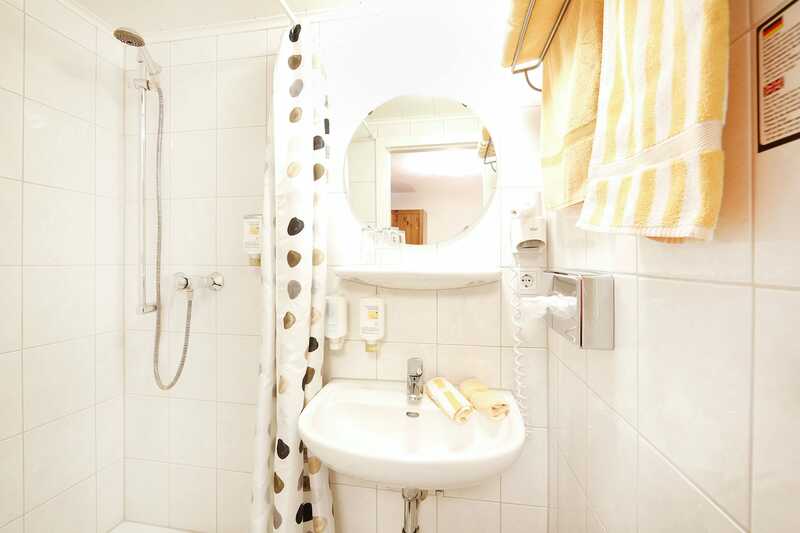 Double room with Moselblick balcony for 2 persons, boxspring bed, seating, LCD cable TV, W-Lan, bathroom with shower & WC, hairdryer, fluffy towels, ADA cosmetic products. 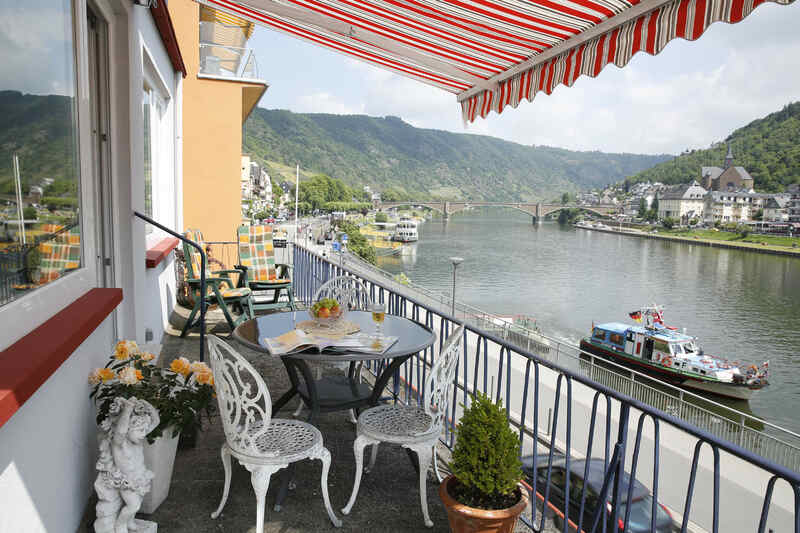 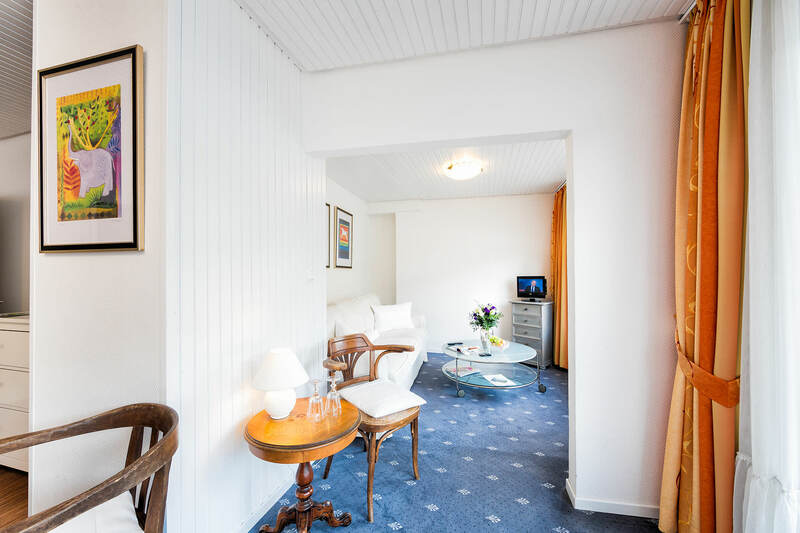 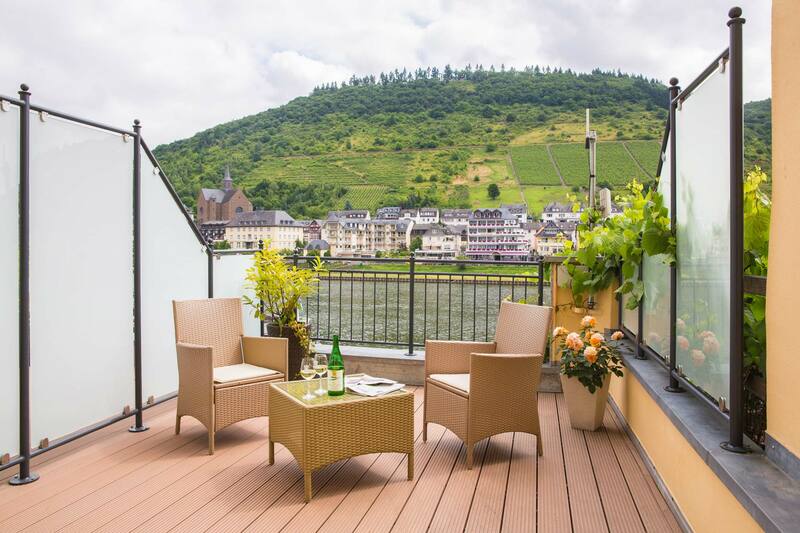 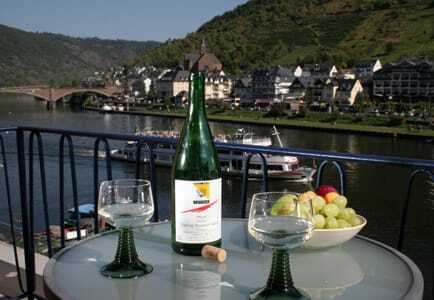 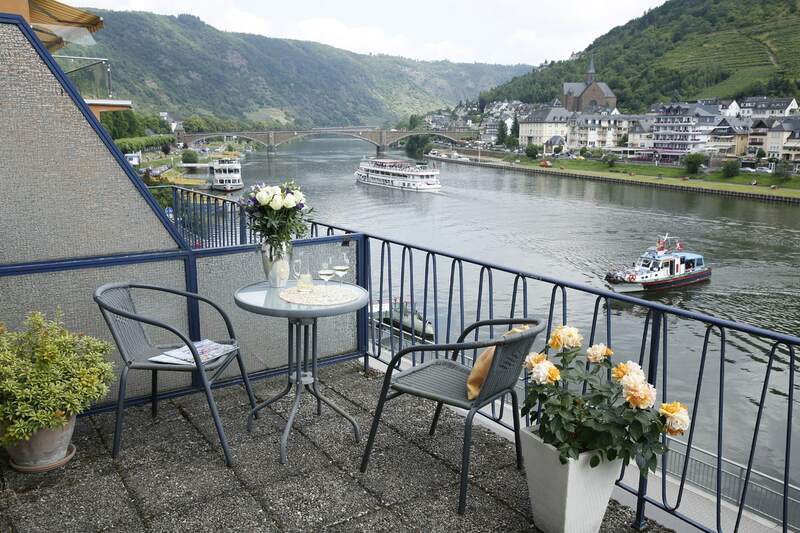 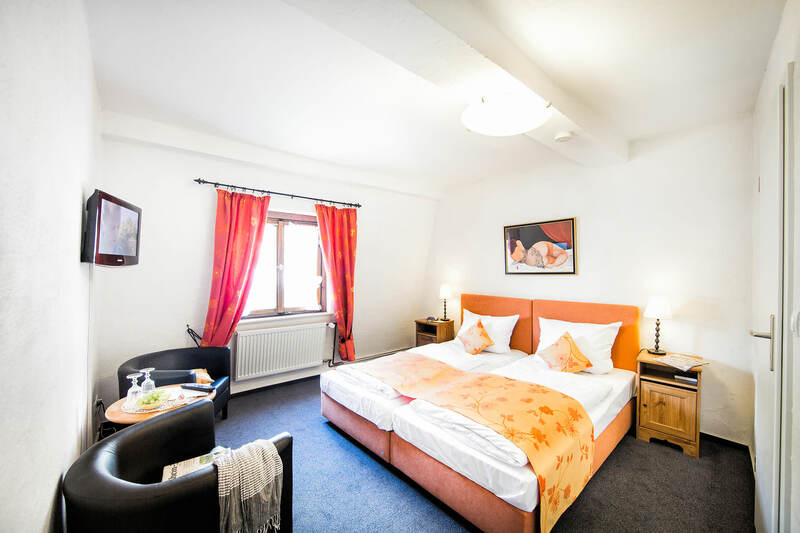 Small cozy French-bed room with view of the Moselle and balcony for 1-2 persons, boxspring bed (1,50x2,00), seating, LCD cable TV, W-Lan, bathroom with shower & WC , Fluffy towels, ADA cosmetic products. 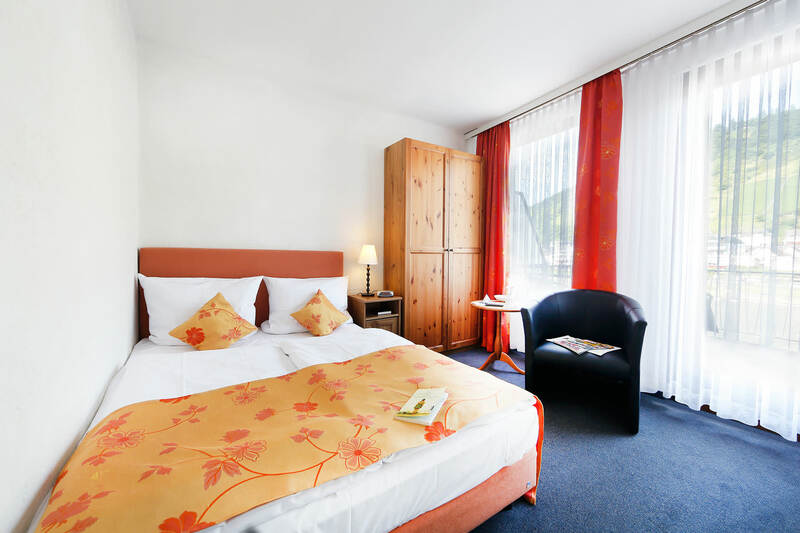 Small cozy French-bed room with Moselblick for 1-2 persons, Boxspringbett (1,50x2,00), seating, LCD cable TV, W-Lan, bathroom with shower & WC (only to this room is located next to it), hairdryer, fluffy Towels, ADA cosmetic products. 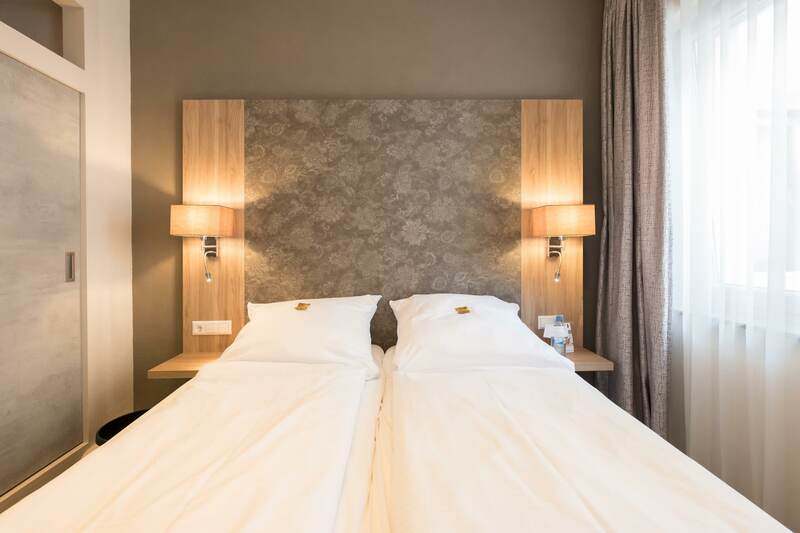 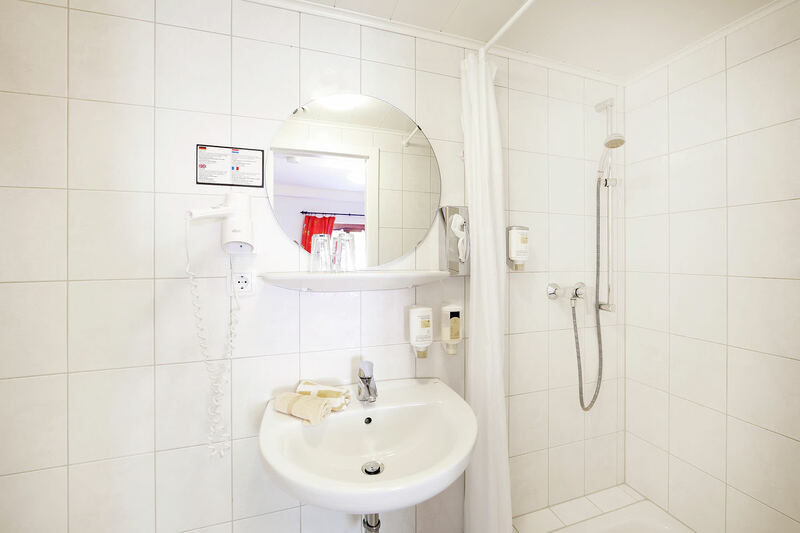 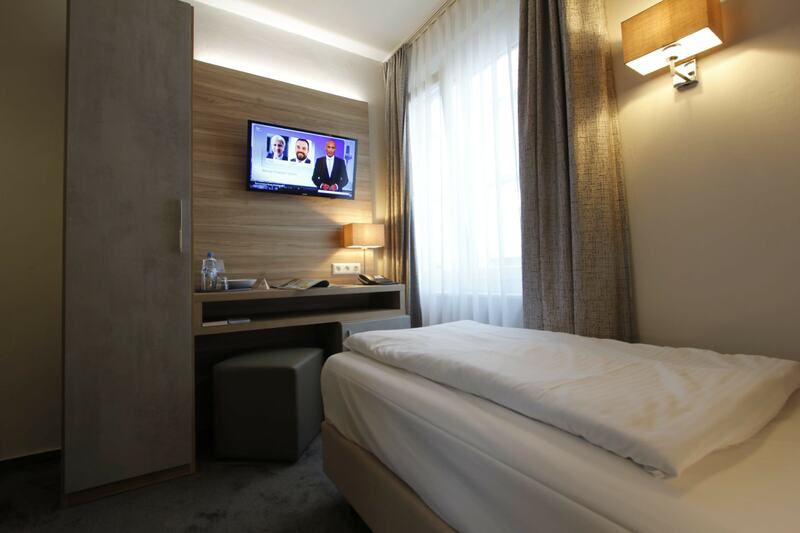 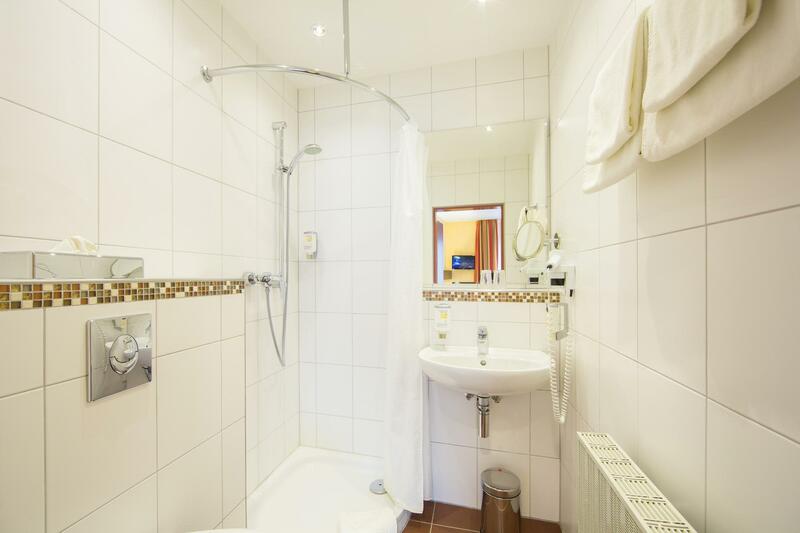 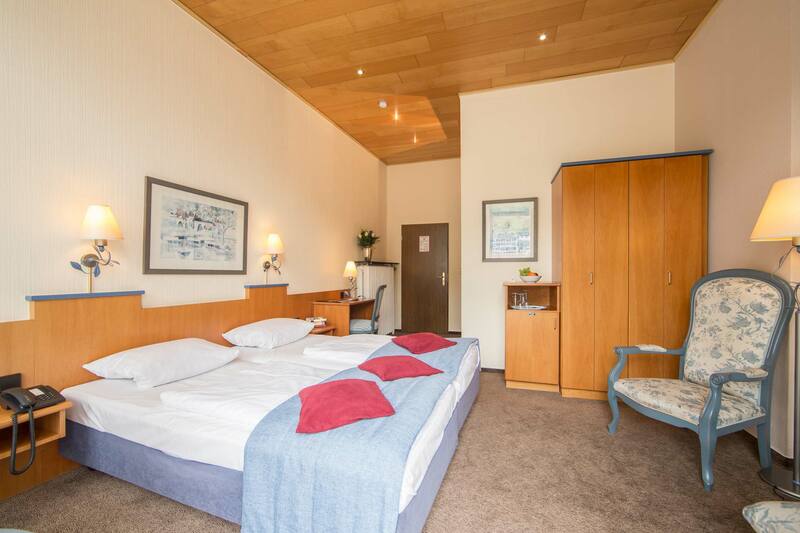 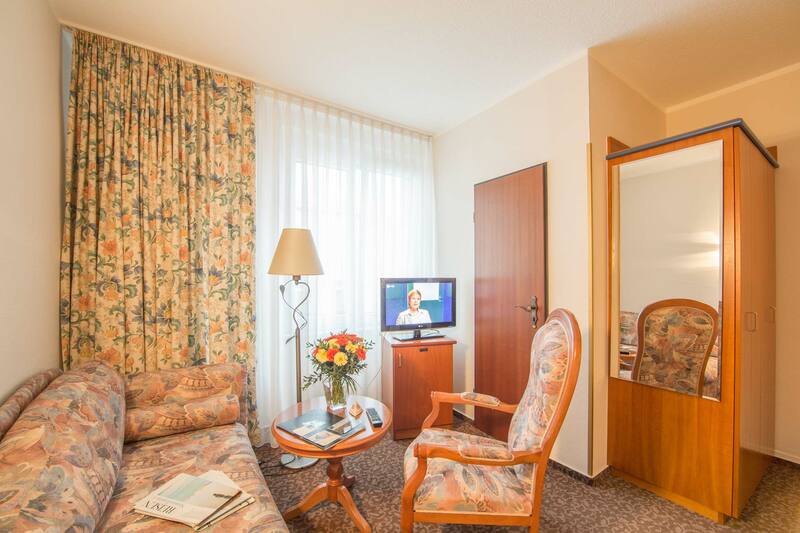 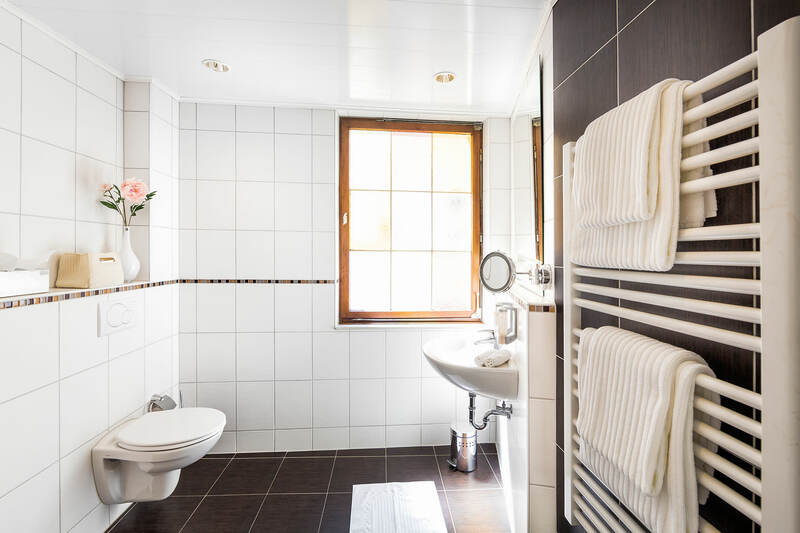 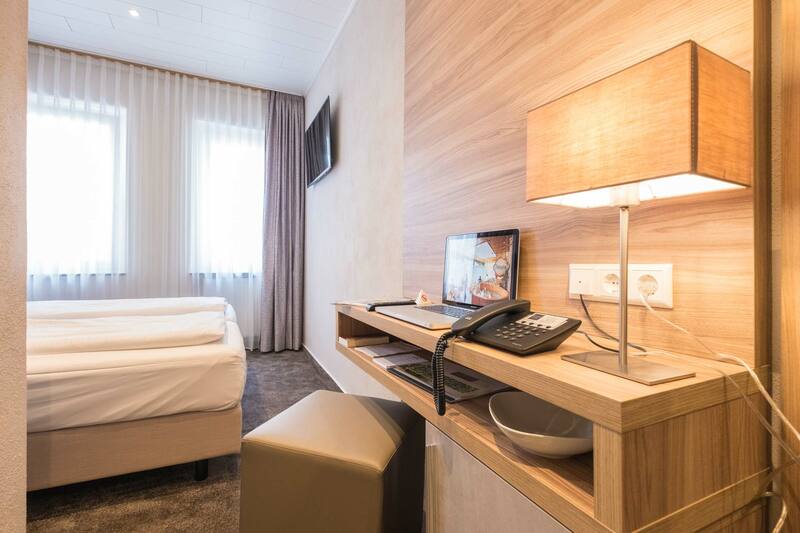 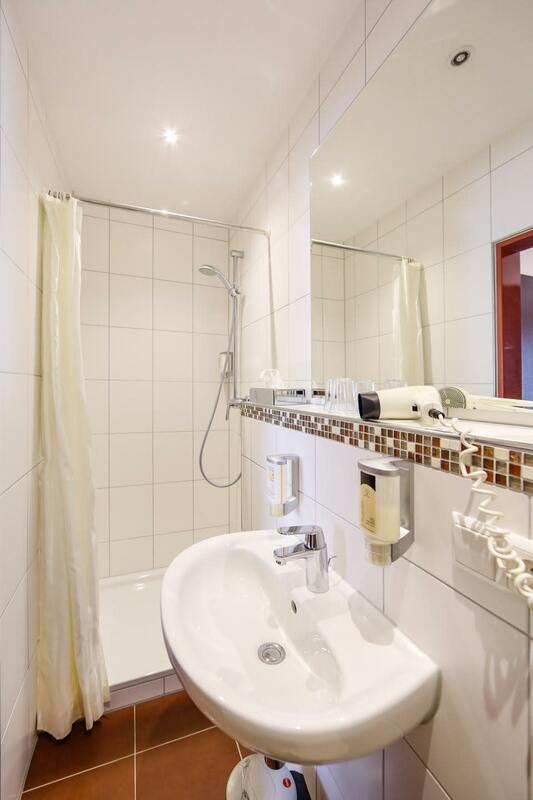 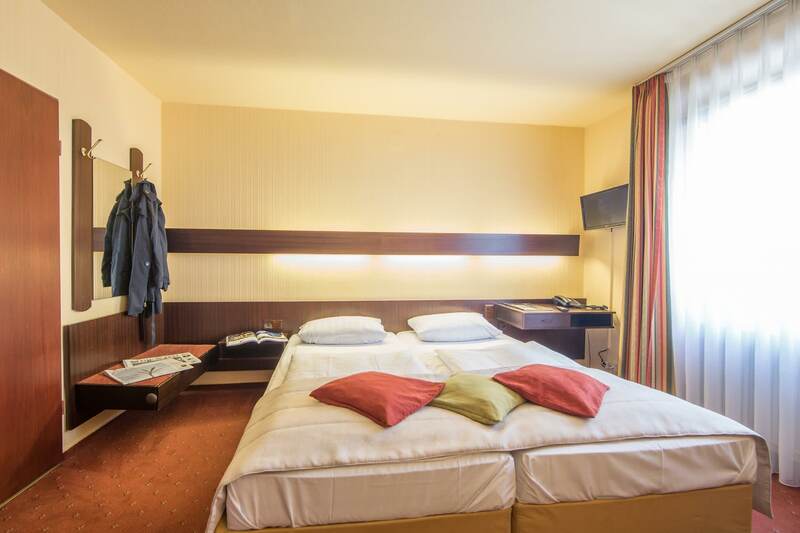 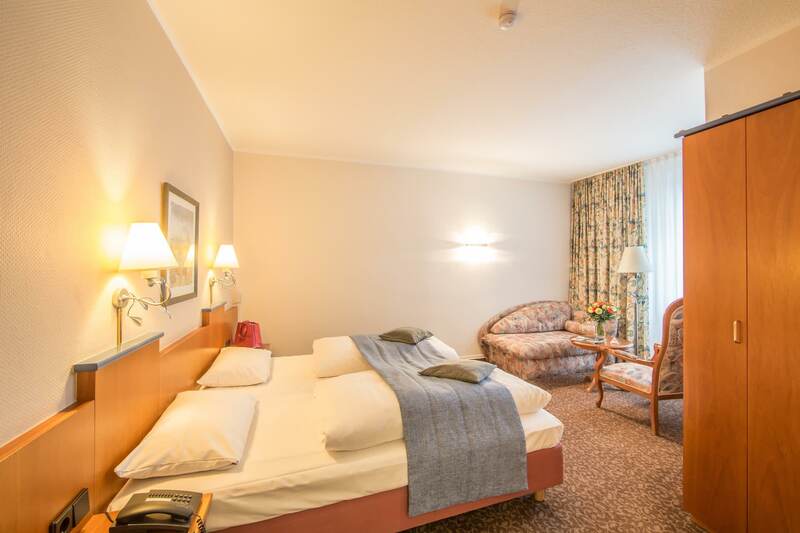 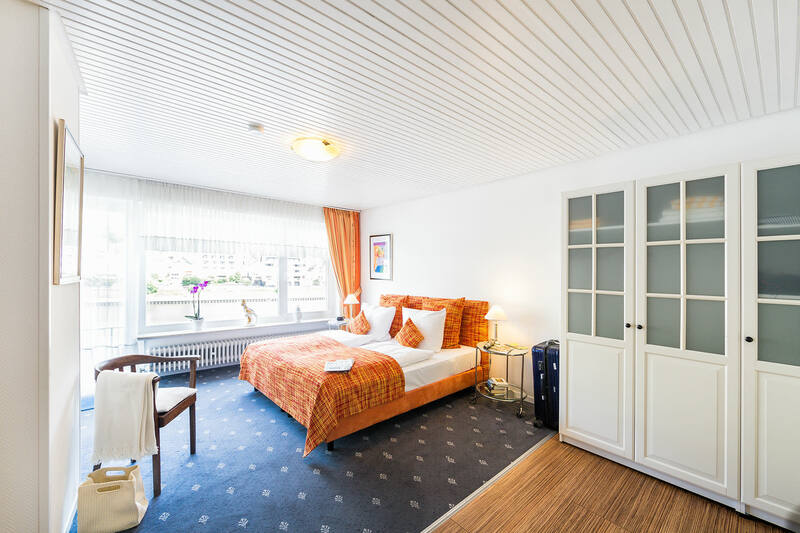 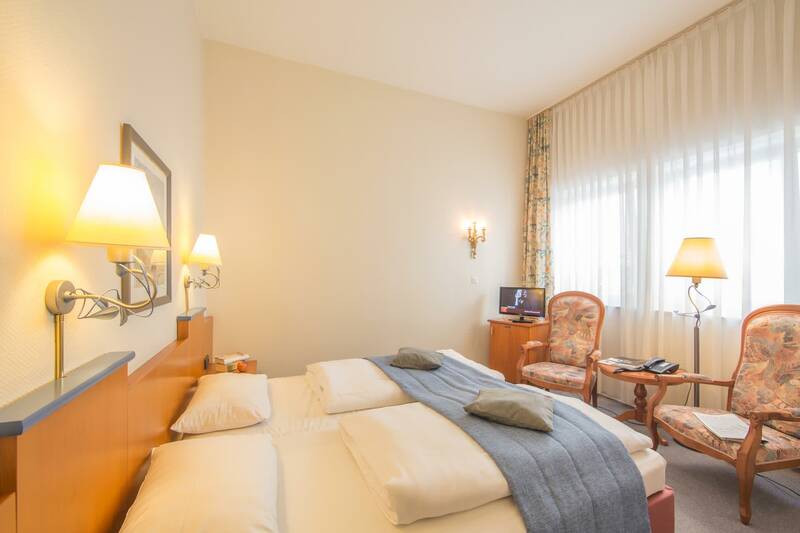 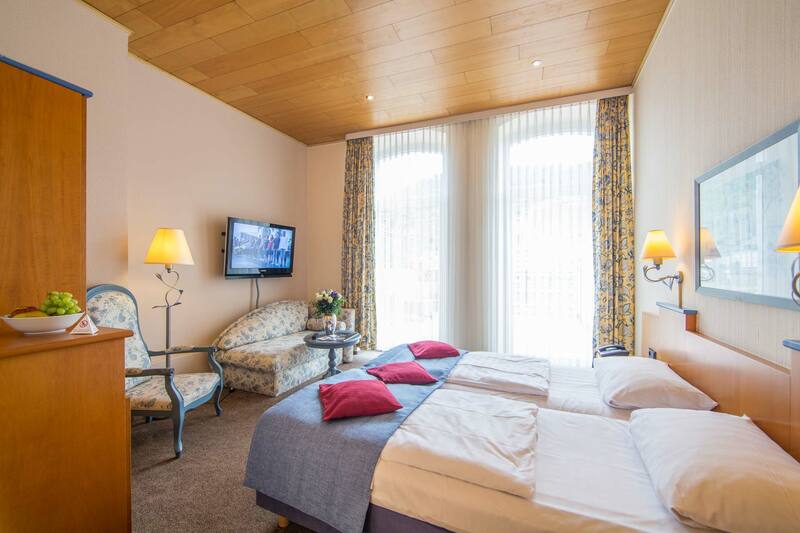 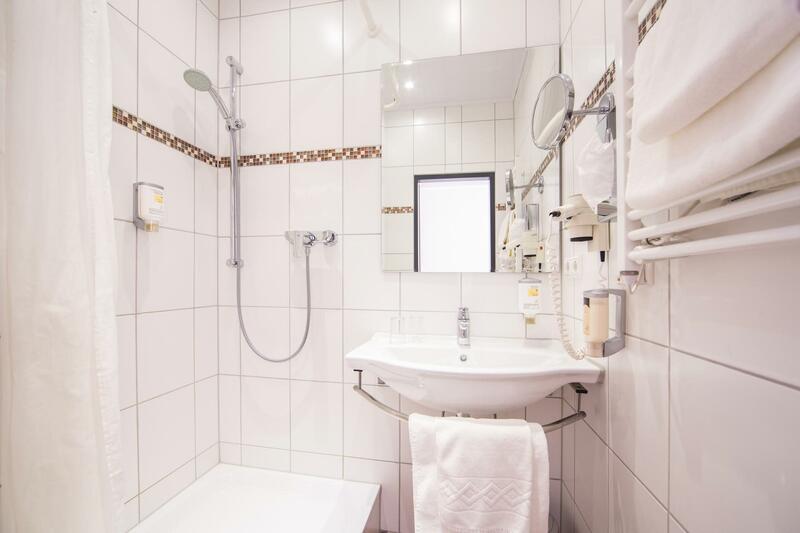 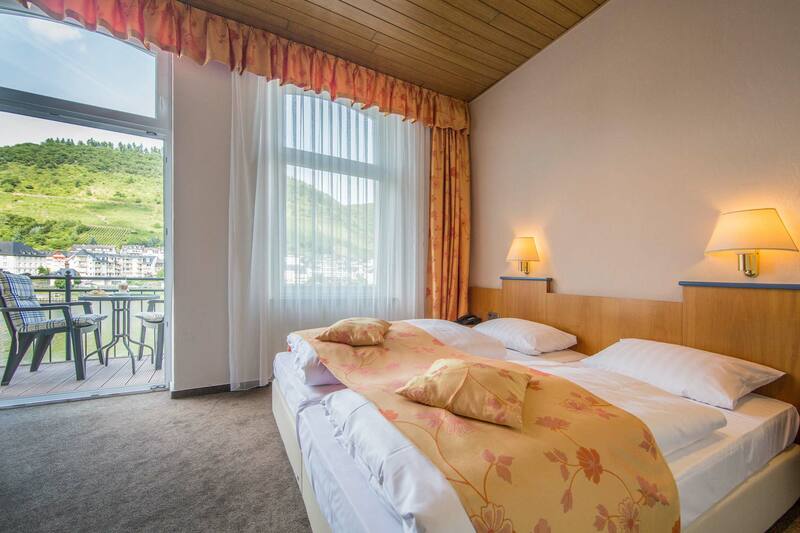 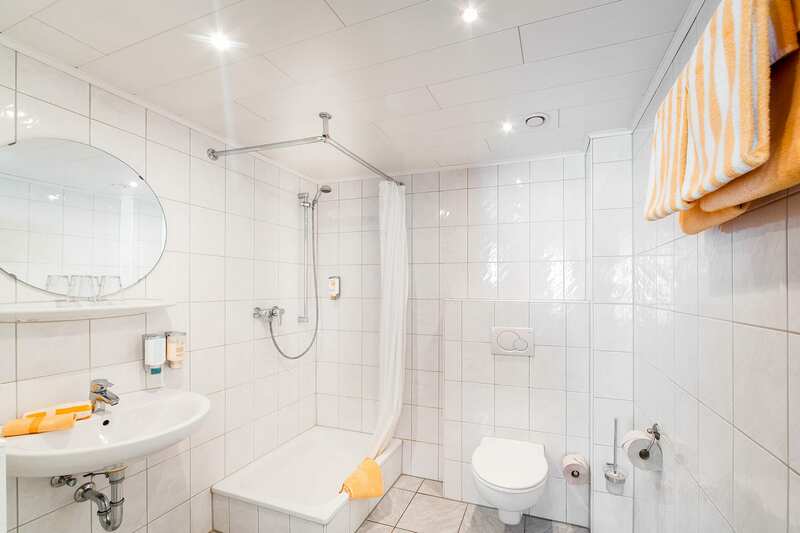 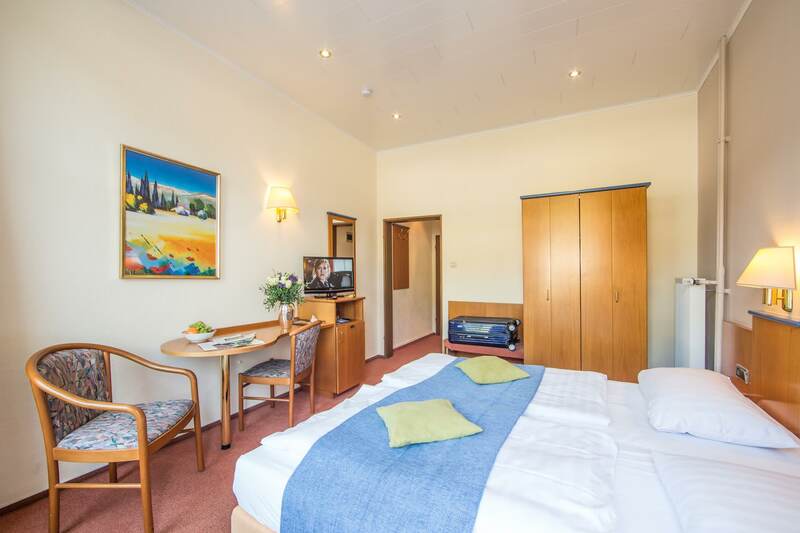 Our Junior Suite "Schloßberg" offers not only a breathtaking view of the Moselpromenade and the vineyards, but also two LCD TVs with DVD player, HiFi, Radiowecker, hairdryer, cosmetic mirror, WLAN, safe, balcony and much more to your holiday As comfortable as possible. 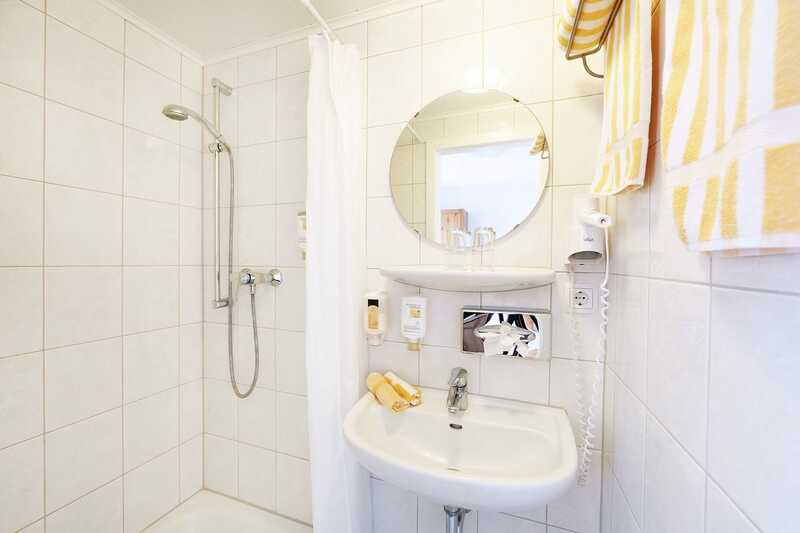 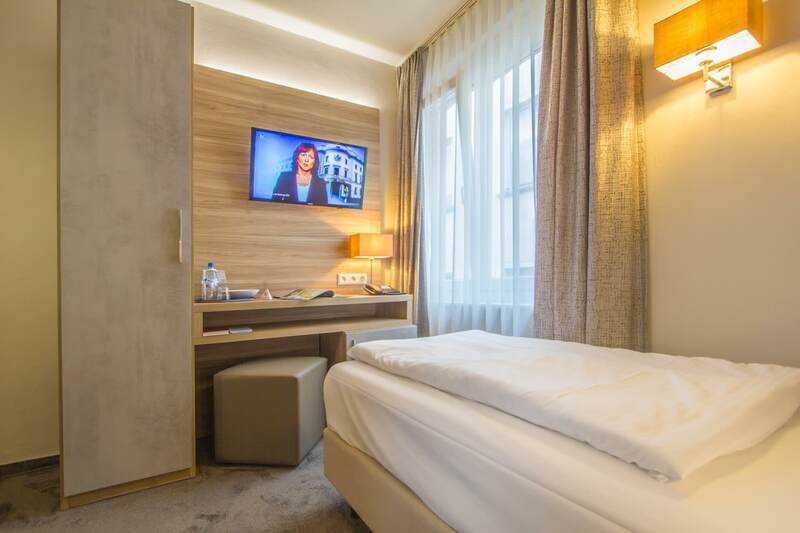 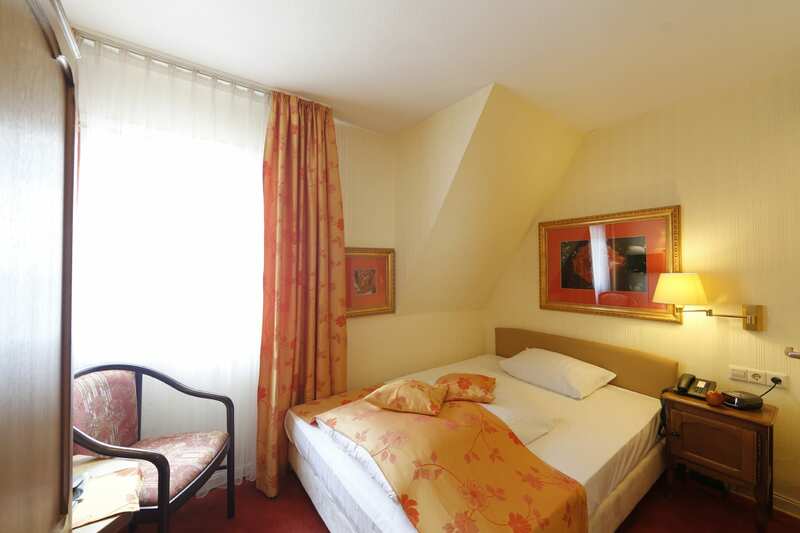 Small cozy French-bed room with Moselblick for 1-2 persons, Boxspringbett (1,50x2,00), seating, LCD cable TV, W-Lan, bathroom with shower & WC, hairdryer, fluffy Towels, ADA cosmetic products.